Takata Corp. has predicted a potential $24 billion dollar cost for a complete call back of the defective airbag inflators responsible for 9 fatalities in the United States. This recall is the biggest of its kind in the history of the auto industry and a worst-case scenario involves a recall of 287.5 million airbag inflators. The National Highway Traffic Safety Administration has determined faulty Takata airbag inflators to be the cause of 9 fatalities in the U.S., which occurred when ruptured airbags sprayed metal and plastic shards at drivers. 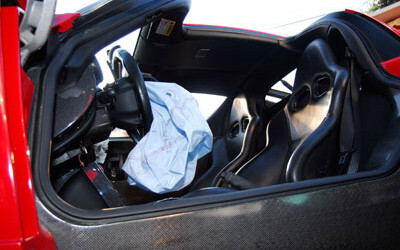 The NHTSA has given Takata until the end of 2019 to identify the origin of the defect or prove that their airbag inflators are safe for consumers. The $24 billion dollar estimation is almost four times the revenue the company has forecast for its fiscal year ending this month, and almost six times the total assets of Takata’s balance sheet for the end of 2015.